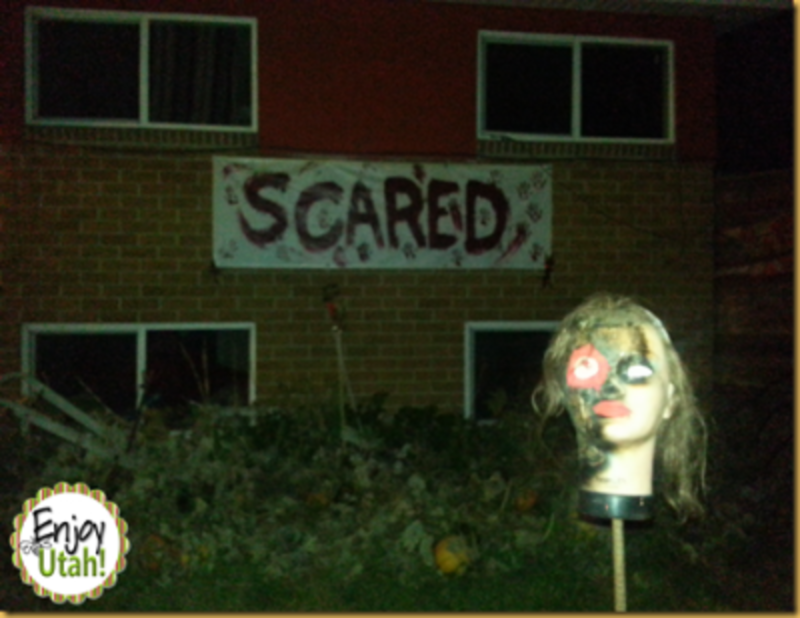 Last weekend we went to Scared Haunt, a haunted house set up to benefit local charities. This was our second year to attend this haunted house. 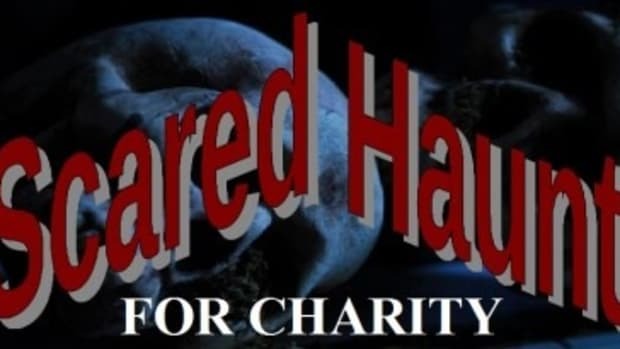 Unlike other haunted houses where there is a set admission fee, at Scared Haunt all they ask for is a donation to one of their chosen charities. This year they are benefiting Shriners Hospital for Children, Utah Food Bank (Copperview Rec. Center Food Pantry), The Jason Debus Heigl Foundation and Humane Society of Utah. Bring cans of food or cash donations for those charities, and you are admitted into the haunted house. Last year the entrance to the haunted house was a wooden coffin that you had to climb into, and I was glad to see they kept that again for this year. 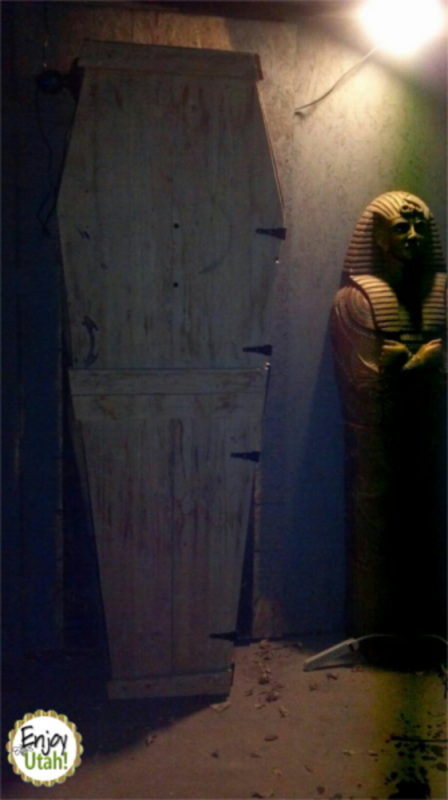 Stepping inside a coffin sets the creepy mood that continues throughout the entire experience. Last year Scared Haunt collected around 800 lbs. of food to donate to the food bank. This year they have already collected 1,200 lbs., and hope to collect at least 2,000 lbs. by the end of the Halloween season. Standing in line to enter Scared Haunt, the lady in front of us was telling us that at one of the leading haunted houses in the valley, she wasn’t scared at all; but in Scared Haunt, she was freaked out in a few different areas. 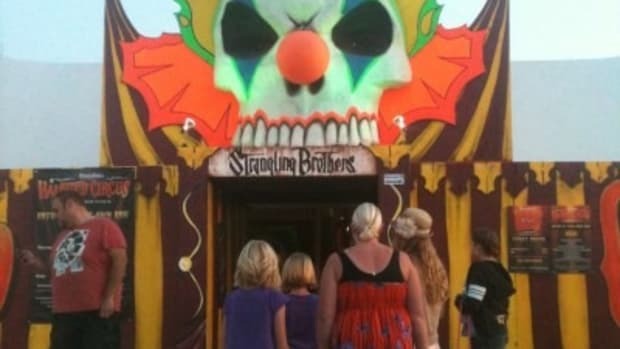 It’s obvious the people behind Scared Haunt are not amateurs, and know what they are doing. I like that they stagger the groups that enter into the haunt. They send you through in small groups at a time, and a flashing light is signaled when it’s safe to send the next group through. This year the haunt is noticeably double in size from last year. There are more rooms and more themes so that those who attended last year don’t feel like they are walking through the same haunted house. I am a very claustrophobic person, and don’t attend many haunted house attractions because of it. I had no problems in Scared Haunt. There is an area where you have to crawl through a tube and are inside a box-like room. This area was even okay for me because the ceiling had slats in it where I didn’t feel completely closed in. If your claustrophobia prevents you from attending haunted houses, rest assured that this is a good one for you to attend. New this year, you can watch the haunt camera live online as people are going through the haunt. This is a fun new feature, and it’s funny to watch people’s reactions while they are getting scared. Like last year, there were many young kids as actors in the haunt. I was again impressed with their acting skills and their abilities to stay in character. Scared Haunt is a definite must-see for the 2013 Halloween season! 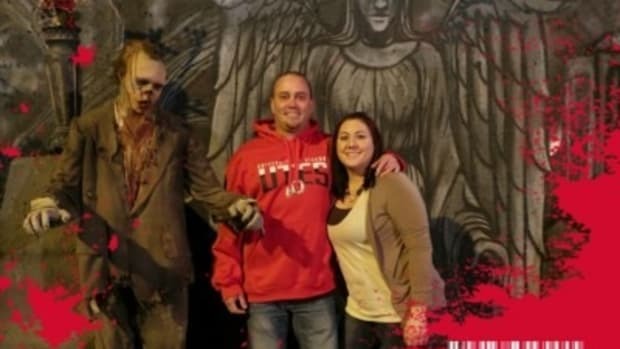 Not only do you walk away scared and excited after going through the haunt, but you walk away knowing that you helped contribute to an organization that helps those in need. In 2010, Max Burton built a small haunted house in his daughter’s yard in Midvale for the neighbors to enjoy. Because of its great success, when he purchased the house across the street in 2011, he built an even bigger and better one. Because he had to build walls and other enclosures for the haunt, Midvale city tried to shut him down. 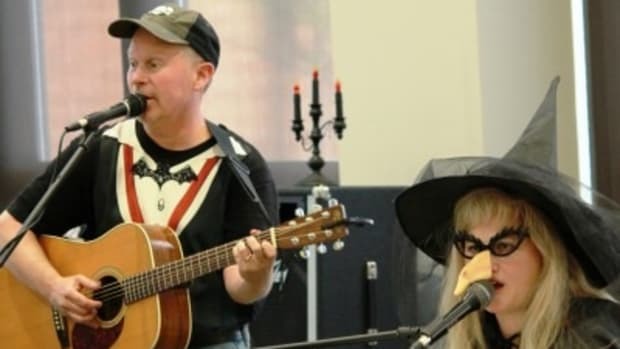 Because it was for charity, and many people love the haunt he did the previous year, the community and media rallied behind him, and the haunt was allowed to continue. 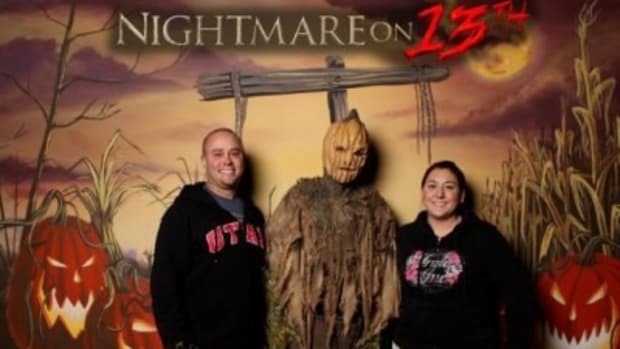 This year the haunt is nearly doubled in size, and continues to see success with food donations for the Utah Food Bank and Humane Society. 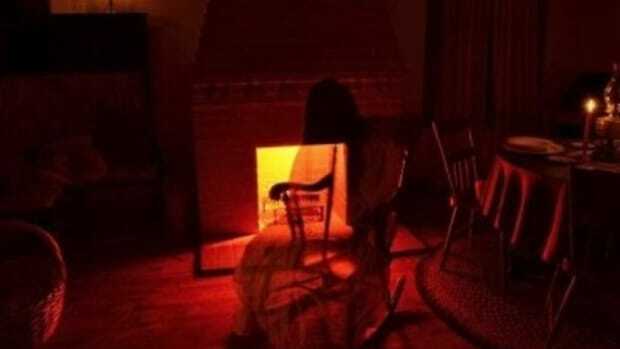 The creators and actors at Scared Haunt have many years experience at such local haunted houses such as Castle of Chaos, and Rocky Point Haunted House. This isn’t just a small neighborhood spook alley……it is put on by people with many years of experience, and know how to make you scream! 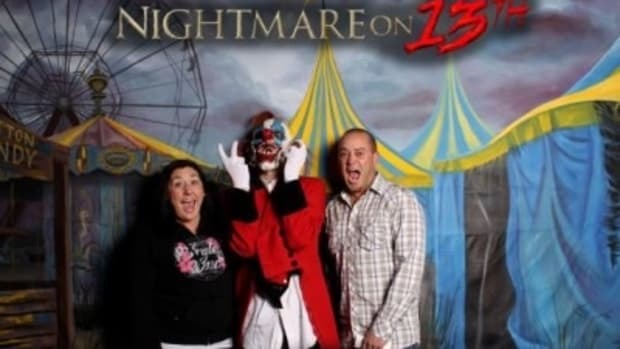 I sent my team members, Chad and Jen, to check out Nightmare On 13th Haunted House again this year. I sent my team members, Chad and Jen, to check out another haunted house.